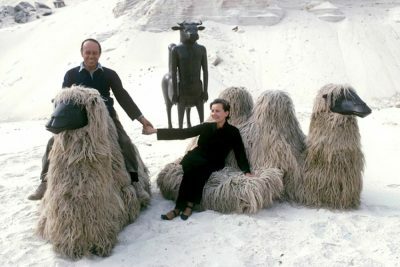 The Lalanne signature, husband and wife artists François-Xavier and Claude Lalanne have charmed the art world with their whimsical, sensual sculptures. François-Xavier’s famous bronze-and-wool sheep and donkey or rhinoceros desks, and Claude’s botanical-inspired furniture and flatware, are elegantly oblivious of the boundaries between fine and decorative art. The Lalannes were Montparnasse neighbours of sculptor Constantin Brancusi (who would pop by in the evenings bearing vodka, cigarettes and plums) and also befriended fellow artists Salvador Dalí, Man Ray, Jean Tinguely, Niki de Saint Phalle and James Metcalf. Claude and Xavier-Francois in their studio, 1965. 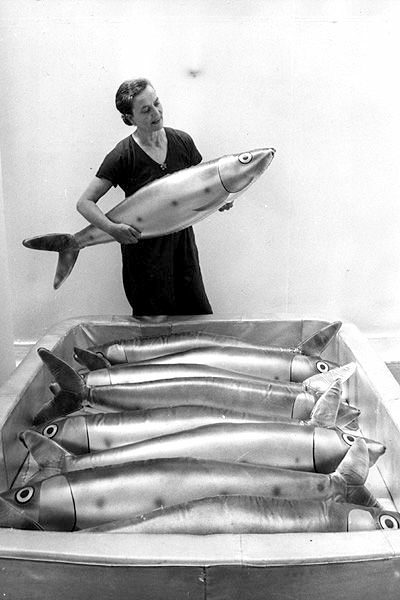 Claude places another giant sardine into the tin, as she and her husband Francois-Xavier Lalanne prepare their sculpture exhibits for an exhibition at the Whitechapel Art Gallery, in East London. 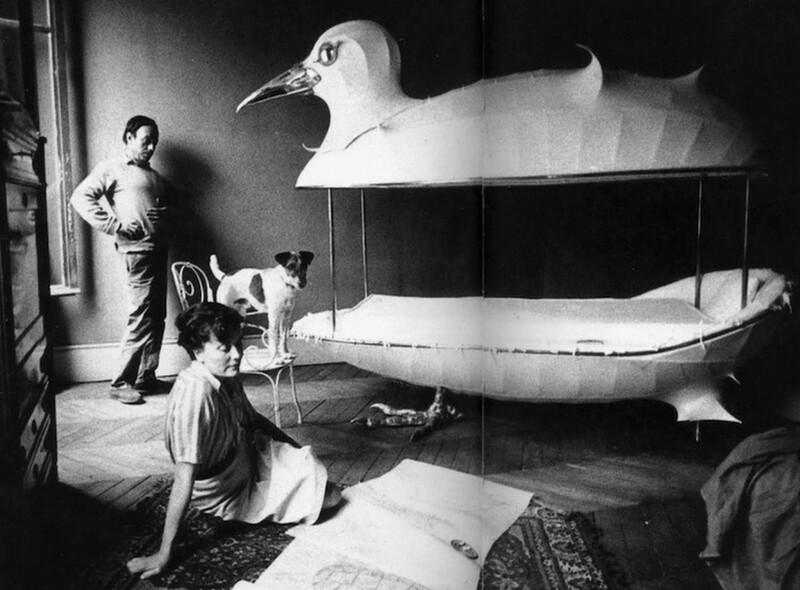 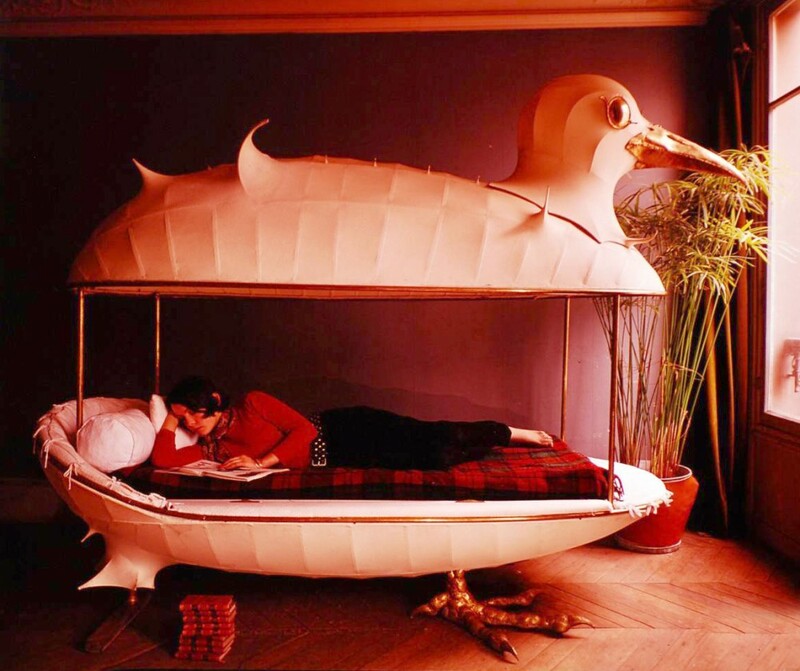 Their work rejected 1950s and 60s abstraction in favour of a unique surrealist style, with some of their most famous pieces including the life-sized gilded Rhino-Desk, the faintly-unnerving Bird-Bed and the ironically awkward Fly Toilet. 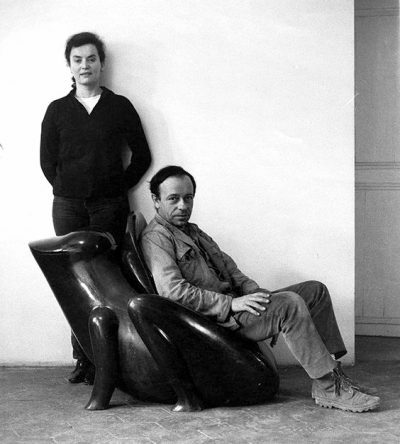 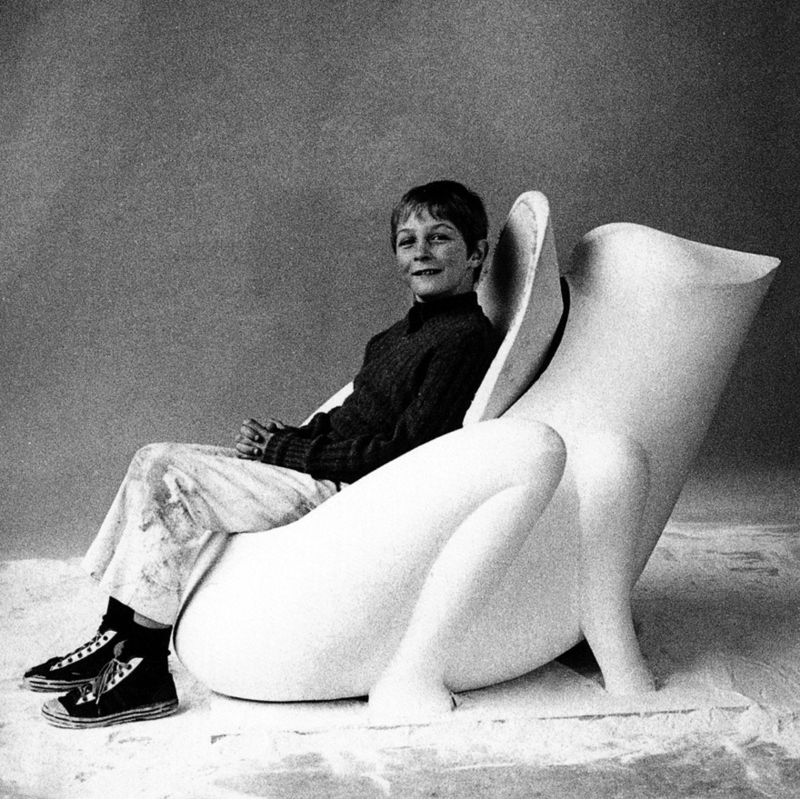 Together they created some of the most amazing collected objets d’art of the 20th century. 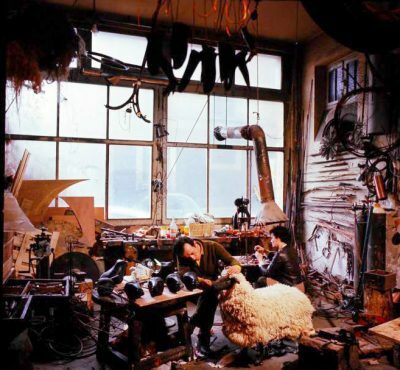 Yves Saint Laurent was passionate about Lalanne’s amazing sheep sculptures that served as chairs, and other high-flying collectors of his surreal animal-theme work included Peter Marino, Marc Jacobs, Karl Lagerfeld, and many others. Yves Saint Laurent in his garden with sheep by Francois-Xavier Lalanne and models wearing the Haute Couture A/W69 collection with sculpted busts and waists by Claude Lalanne. Claude Lalanne Seins,1969. 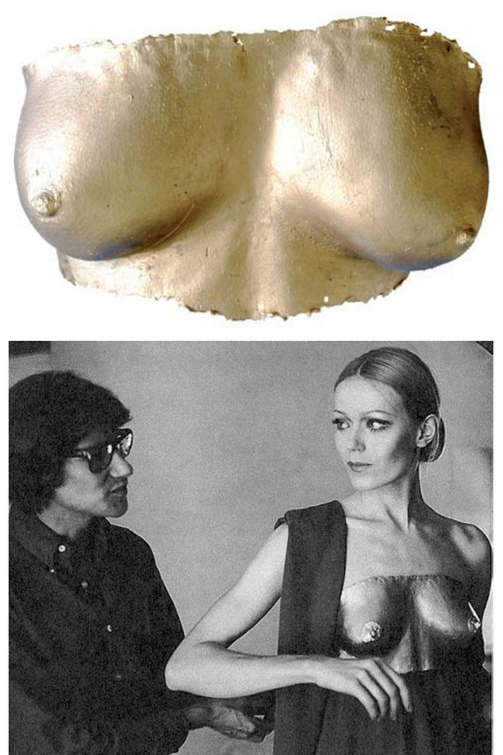 Cuivre galvanique doré by Yves Saint Laurent, model Veruschka. 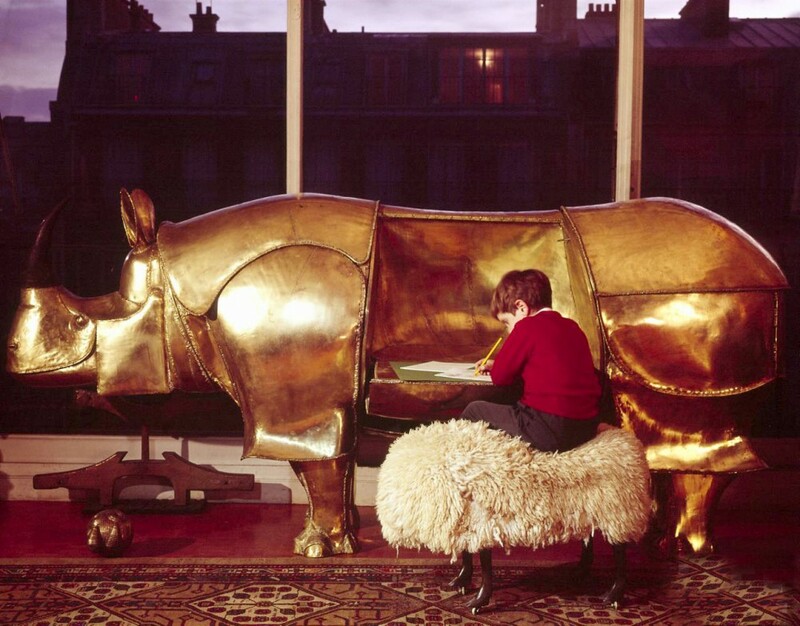 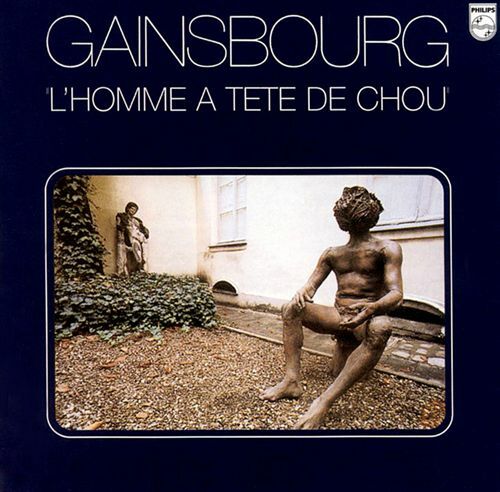 The Lalanne even inspired Serge Gainsbourg’s concept album The man at the head of cabbage. ” I met The man with head of cabbage in the window of a contemporary art gallery. 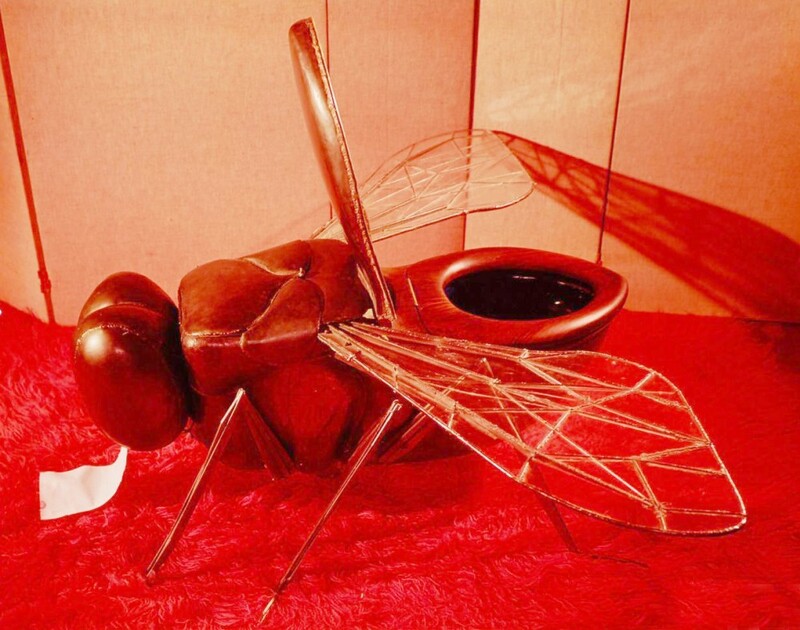 Fifteen times I retraced my steps and then, under hypnosis, I pushed the door, paid cash and did deliver to my home. At first it made me mouth, then he is thawed and told me his story. Tabloid journalist fell in love with a small enough cabbage carpet cleaner to fool with rockers. 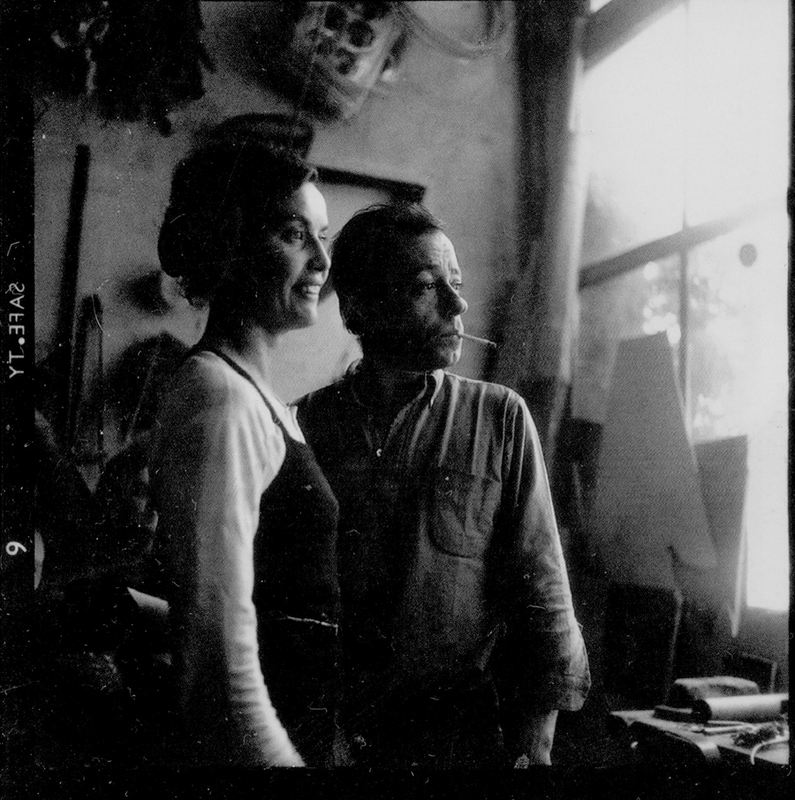 He kills her with blows extinguisher, dark gradually into madness and loses his head becoming cabbage … “ – Serge Gainsbourg. 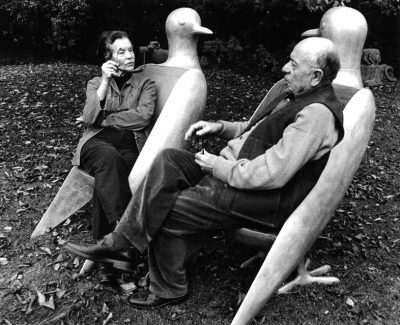 If you believe in François-Xavier’s credo “The supreme art is the art of living”.